Doctor Who star Jodie Whittaker will be among the guests to switch on the largest Christmas light installation in London. The star-studded show will begin from 5.30pm on 15th November with ‘The Spirit of Christmas’ returning to one of the most iconic shopping streets with a magical celebration of the switch-on moment. The event will be hosted by Heart London Breakfast’s Jamie Theakston and Heart Evening’s Sian Welby. Other notable guests include British singer and songwriter Calum Scott and the cast of the multi-award-winning West-End musical Dreamgirls. 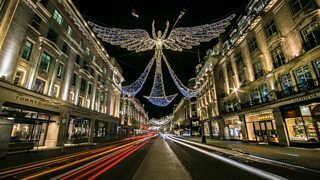 The whole of Regent Street will be traffic free from Oxford Circus to Piccadilly Circus, enabling visitors to the area to soak up the festive atmosphere.